Made in Europe, the Minimax Pro fitness trampoline is equipment dedicated to fitness professionals and sports clubs. 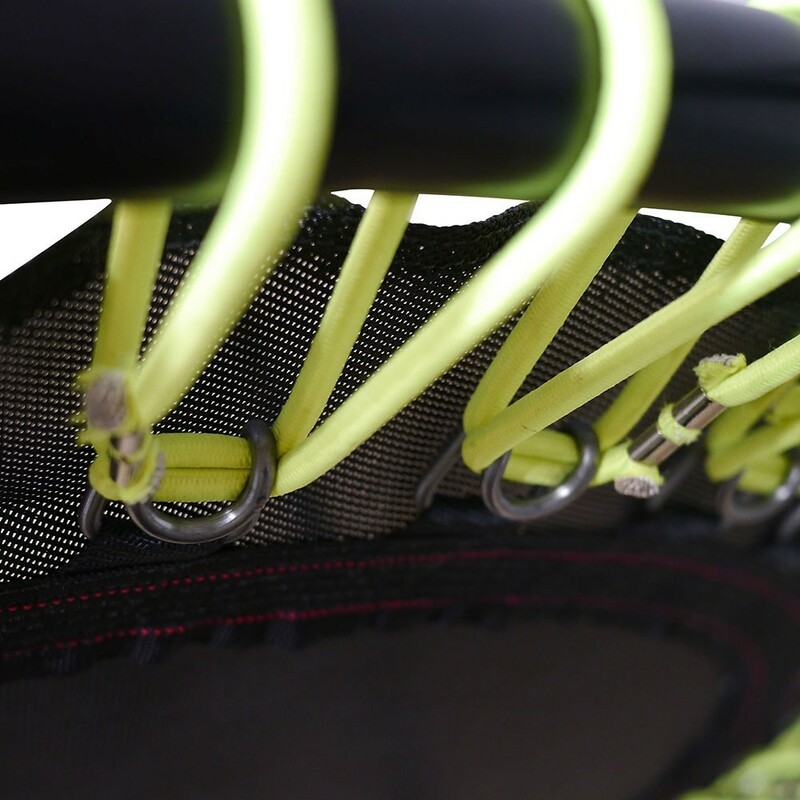 Thanks to this part, you can replace the jumping mat of your Minimax Pro trampoline that undergoes intensive and daily use. 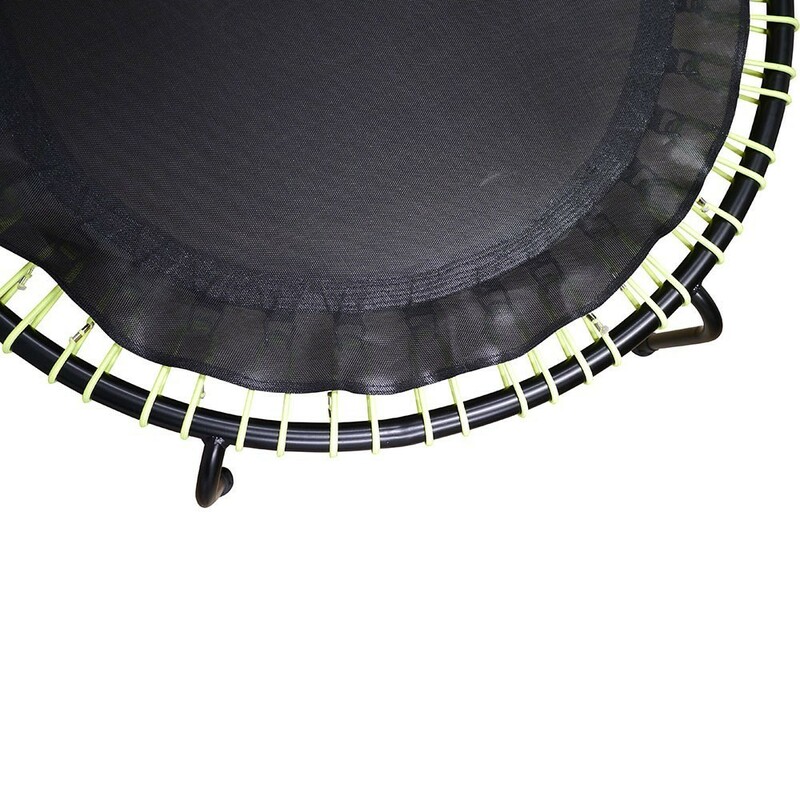 This is the original jumping mat and is therefore perfectly adapted to your trampoline. It is provided on its own without elastics. - This 87 cm in diameter jumping mat, will provide an adult with enough space to exercise and carry out different movements and jumps. - Made from highly-resistant black polypropylene mesh with a density of 270g/m², this jumping mat is reinforced with 6 rows of stitching for maximum ear resistance. Like the original jumping mat, this mat has a tear resistance of 185/190 lbs and a stretch resistance of 440/225 lbs. 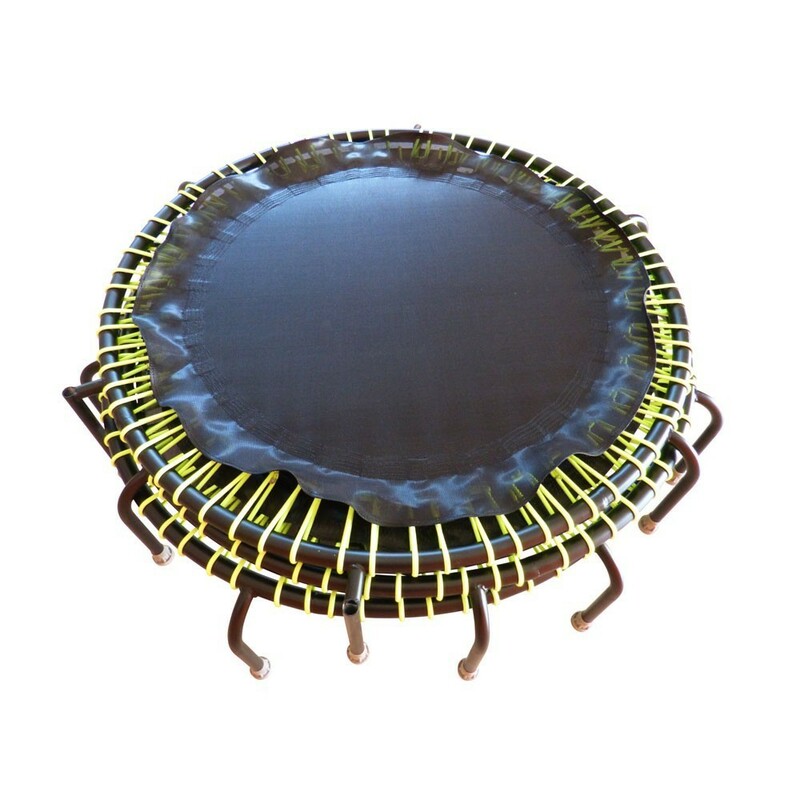 - 34 non-welded steel rings are placed around the perimeter of the jumping mat, on which elastics are attached (sold separately). 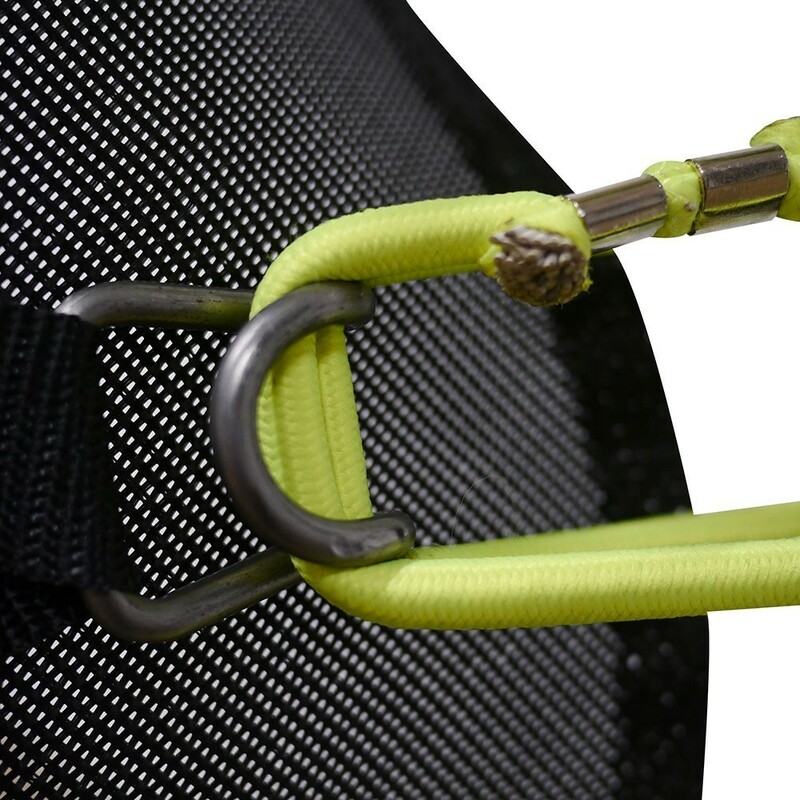 Installing the jumping mat is easy: Hook the elastics onto the ring, pull the elastic around the tubular frame and hook the elastic back onto the ring. Don’t hesitate to contact our sales team for extra installation information.